A new month, a new blogpost with giveaways from other blogs! Let's start! Also Known As is having a december giveaway! You can enter here until December 17th. Tirnaklar Fora is having a 100 Post giveaway! You can enter here until December 18th. Oje Delisi is having a 300+ giveaway! 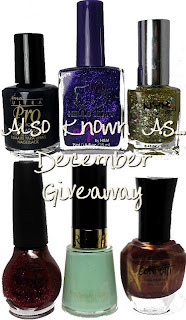 You can win some amazing polishes! You can enter here until December 19th! Suburbian Beauty is giving away a deborah lipmann polish! You can enter here until November 30th. 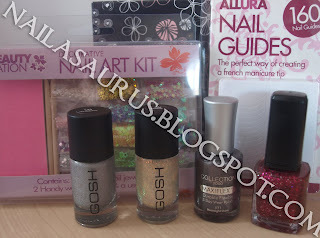 Nailasaurus is having a 300 followers giveaway! You can enter here until November 27th! Konad-Licious is having a nailart giveaway! You can enter here until December 20th.! Nail Galore is having a Year End giveaway to celebrate her 555 folowers! You can enter here until 15th December! 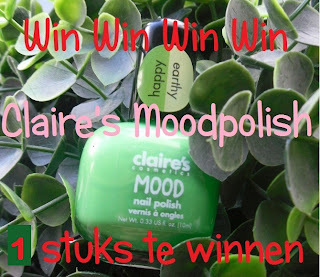 Sillysilsil is having another giveaway to win a moodpolish! Check her blog here! You can enter until December 2nd! Aurora's nails is having a giveaway! She gives away the entire naughty and nice collection from china glaze! You can enter here until December 16! Let them have polish is having her very first giveaway! You can enter until December 5th here! 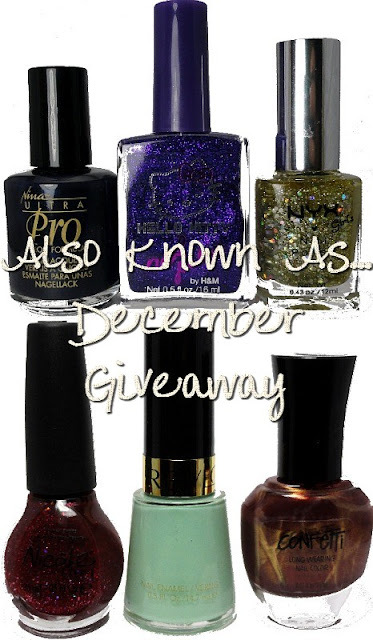 Scandalously Polished is celebrating her 850 followers with a christmas giveaway! It's a special one because you can win some frankens! You can enter here until December 25th! Beautyblogt is giving away an €15 euro coupon for papapa.nl ! You can enter here until November 22th! 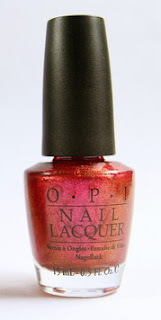 Daphne from Nailswatches is giving away a OPI- Damone Roberts 1968 polish! You can enter until December 6th, click here to enter! Libby's Pink Vanity is having a very nice giveaway, I just found her blog a few days ago and i like it! You can enter until November 27th here! Crystaliciousss is having a Koh giveaway, you can win 3 amazing polishes from Koh! You can enter until November 30th here! Check out her blog too! 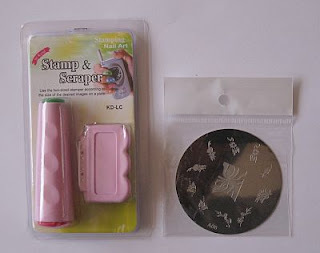 Varnish Vixen is having a great giveaway, you totally check out her blog to see what you can win! One of the prices is this amazing set of Burlesque polishes! 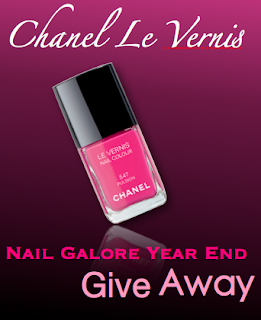 Check out her blog here, you can enter until December 7th! Kitchy Suburbia is having a giveaway! You can win the entire Glitter Vixen collection from Color Club! Het is Klein en het blogt is having a little giveaway for the people who are voting for her video! She really want to go to London with her friends, so vote her video and you're making chance for this OPI Polish! Vote here for the movie, and watch here for the giveaway! Painted Lady Fingers is having a giveaway! If you win you can pick 8 imageplates of your choice from OCNailart! You can enter here until 24th of november!